It is often said that genius people are somewhat mad. Possibly their passion for something make them focused on the target and ignorant of everything else, is responsible to create such image. Sherlock as we know is very focused on criminal investigation stuff. Even there are times when he got furious when didn’t have anything on hand where he needs to apply his brain. Some people feel lazy in absence of physical workout, which is the case for Sherlock when he have nothing to exercise his brain on. Though it is not the thing that he is not approached with any cases, he is. But, he didn’t found them appealing. And, it is taking its troll over him. 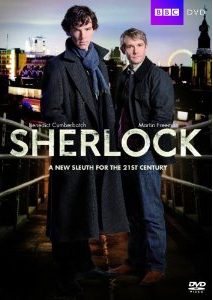 The scene where we see Sherlock is very furious and got “bored” of the current situation, is filmed well. His playing with revolver, collapsing on the sofa, walking over the furniture all is filmed pretty well. The dialogs in the scene are capable of conveying what the writer wanted to. If Morgan is convincing with his underplay, we must say Benedict is first rate with his overacting. Probably that is the only way to represent these two opposite persona and their togetherness. Watson got disappointed with the behavior of Sherlock and leaves home to stay at a friend’s place. We see Sherlock was visiting a calm night and the blast all of a sudden makes his world upside down! The scene is edited really well and thus is able to crate the “shocking” effect it was intended for. Also the reference(s) for Watson’s blog are pretty well weaved in the tale. The other two important factors to watch out for in this episode are the background music and acting and persona of Andrew Scott, he re-invented Moriarty in interesting and convincing manner. What the episode explores is a game (for the killer) of deaths. 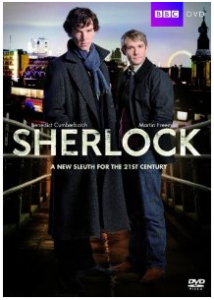 One by one victims are found dead after they call Sherlock (and hence the police is informed and tried everything to save their lives) and provide the clues and time frame to stop the murder. 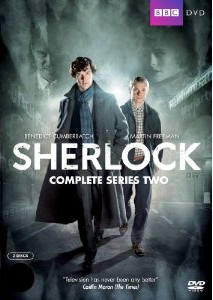 The killer however runs a step ahead from the genius detective, his loyal friend and smart DI of Scotland Yard. There come a point when Holmes declares that he got the criminal and direct the forces to catch him. However when he was working at home, his phone rung again! Holmes and John then pay a visit to restaurant, so the actual chase and mind game with this killer start from here? Telling more about the story will be – spilling the beans – and hence spoiling your experience to watch it. The scenes from this point forward are definitely worth watching. You can even see the desperation in Holmes when he was sitting in the restaurant, through his body language. Summary: Studded with fine acting, nice weaving of storyline, good dialogs, good background music and the attention paid by the makers in small details will make the episode watchable. The climax sets the point for the next season intelligently. The use of the modern technology, the chases and the thrill makes it worth watching for sure. Did you like this episode? Have you already watched it? What do you think about this article? Do not forget to share this article with your friends over various social networks via Twitter, Facebook, Google Plus and others. And yes, you may like to subscribe to our RSS feeds and follow us on various Social networks to get latest updates for the site to land right in your mail box.